Halloween is coming and it&apos;s a season full of extravagant costuming and partying. It&apos;s an opportunity to spend time with friends and family, carving pumpkins and drinking pumpkin flavored chai latte. It&apos;s a fun time to watch horror shows and movie marathons on the AMC Channel, to get you in the mood for frightful and horrifying excitement. As you walk with your loved ones “trick-or-treating” around the neighborhood, you&apos;re thankful we don&apos;t live in a world full of zombies. What is it about Halloween that has us so excited? 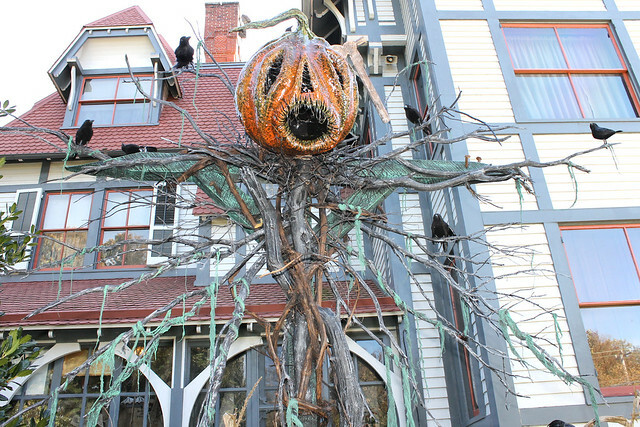 As the leaves fall and pile up on your front lawn, the frightening Halloween decor are already dangling up, ever so quickly. In similar fashion, retailers such as “pop-up” shops are thriving and are able to sustain a successful business by adapting to consumers&apos; keen interests in the holiday of horror. Halloween is not only a fun family time for children, but also for adults too, who can step out of their daily grind and become something new, exciting, satirical, and creative. On the night of Halloween you could become a Donald Trump, a Cleopatra, the Last Witch Hunter or even Lady Justice, the possibilities are endless. For those celebrating, more will be spent on adult costumes. A figure projected to be as high as $1.2 billion. In comparison, $950 million will be spent on children&apos;s costumes and $350 million on fashionable and fun costumes for their pets. For the 2015 Halloween season, it is estimated that people will spend a total of $6.9 billion. Only down half a billion dollars from last year&apos;s spend of $7.4 billion, according to the National Retail Federation (NRF). Pop-up Halloween shops are growing more than ever and several sources suggest that spending is actually starting earlier than they have in the past. According to a survey by NRF, approximately 34 percent of consumers start their Halloween shopping before Oct. 1. Spirit Halloween, a successful national chain, opens more than 1,150 pop-up Halloween stores across the country. Stephanie Riner, a Spirit Halloween store manager of Anderson, IA, said the chain is looking for new locations as early as spring. They have a staff of about eight Spirit Halloween veterans, who within a single week, are able to set-up an entire store. As October approaches, the stores becomes busier and Riner hires more people to meet demand, growing to as many as 20 employees for that store. Every Spirit Halloween is customized according to studies of consumer demographics around the area. For example, more costumes from shows such as Orange is the New Black and the Game of Thrones are desired by college students at the store in Athens, GA. In contrast, at the store 100 miles away in Augusta, GA, they focus on costumes for the whole family with the usual assortment of costumes from Star Wars to My Little Pony. These pop-up shops utilize a get-in-quick and get-out-fast method to generate a lot of profits, which revenue for the year is made in less than three months. “We are equivalent to an army operation in terms of the way we mobilize and move products,” says Steven Silverstein, CEO of Spirit Halloween. Pop-up stores have been around for a long time, but the trend got a big boost when retailers got an idea for short-term rentals for holidays like Halloween and Christmas. In addition to pop-up shops, the excitement of the Halloween season also has a healthy impact at local thrift stores. For example, October is the busiest month of the year at the AIDS Assistance Thrift Store on Fourth Street&apos;s Retro Row in Long Beach, CA. People like to shop at thrift stores because they offer a wide variety of one-of-a-kind finds. Clothing and accessories to transform themselves into a &apos;80s prom queen, a 1960s hippie and many other personas in clothing found amongst the racks. To take advantage of this heightened attention, the store even expands its hours to seven days a week during the season. Shopping at thrift stores give consumers an option to save money on original looks, help a good cause at the same time and even be more environmentally friendly by repurposing used goods and avoiding the plastic packaging of a new costume. 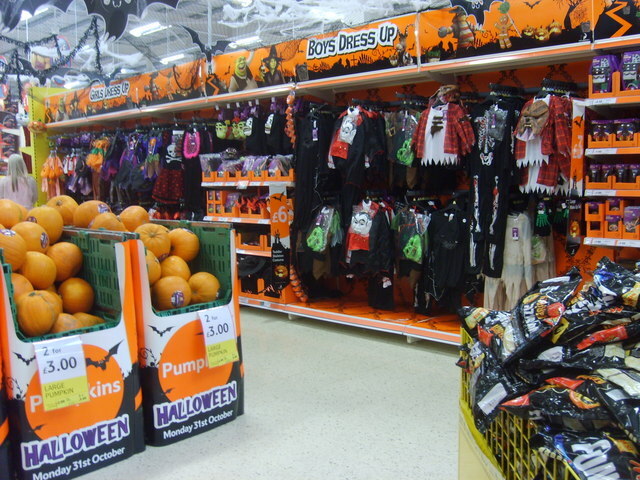 Retail experts say that Halloween brings about each of our uniqueness and a hey-look-at-me quality, which is exacerbated by social media today. “It has become the national party that everyone participates in”, says Silverstein. Nowadays everyone is connected to social media, where people are able to showcase their costumes and decorations with ease and to wider audiences all across the globe. This brings about a whole new friendly and competitive level of costumes and holiday participation among popular Instagram and Pinterest users. The surge of Halloween has brought about many businesses and changes in the way we experience and share the joy of the holiday. The estimated $6.9 billion in Halloween spending is still only a drop in the bucket in comparison to the estimated whopping $616 billion spent during the winter holidays. But regardless of the vast difference, it is notable that profitability in a comparatively less prominent industry, is still profitable. Depending on people&apos;s interests and the resiliency of their wallets, Halloween provides us an early glimpse into consumer trends and the health of the economy before the major gift giving holidays.